Have you ever left a web app opened in a tab for a couple of hours to come back and see this screen? 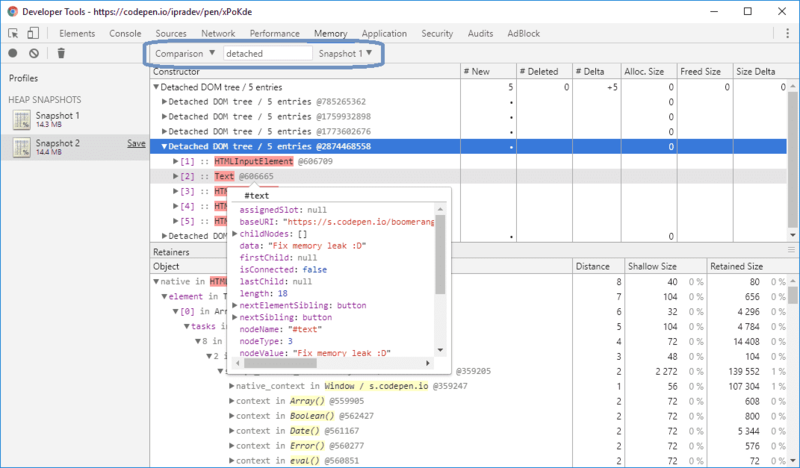 In this post we will learn how to use the Chrome DevTools to find memory leaks. Can you spot a problem with the following code snippet? Don’t worry if you can’t figure it out, the issue is not so obvious. 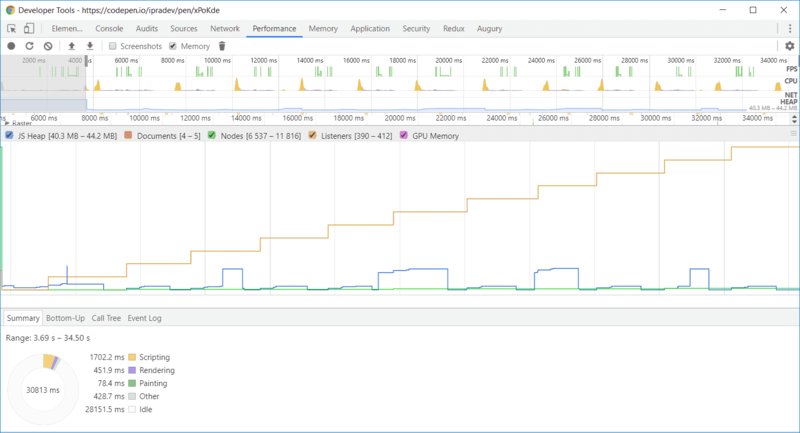 To diagnose if an application has a memory leak, you can use the Performance section in Chrome DevTools. 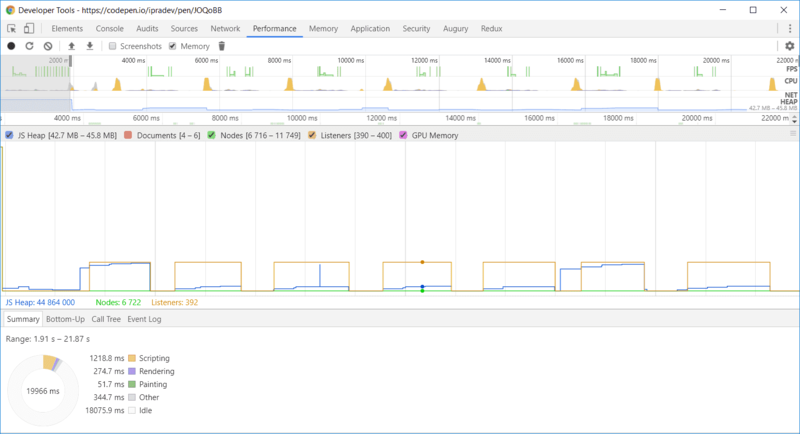 In the above example we want to check if continuous usage of the application (adding/removing tasks) causes unexpected increase of memory usage. 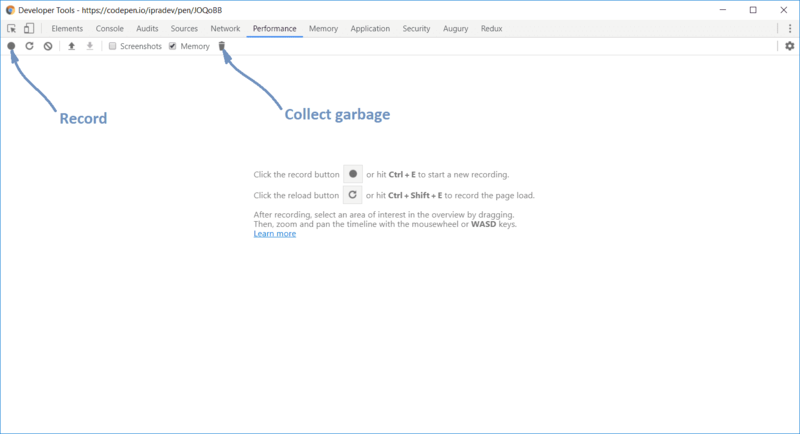 To test this we can record the memory usage while adding and removing a task several times. 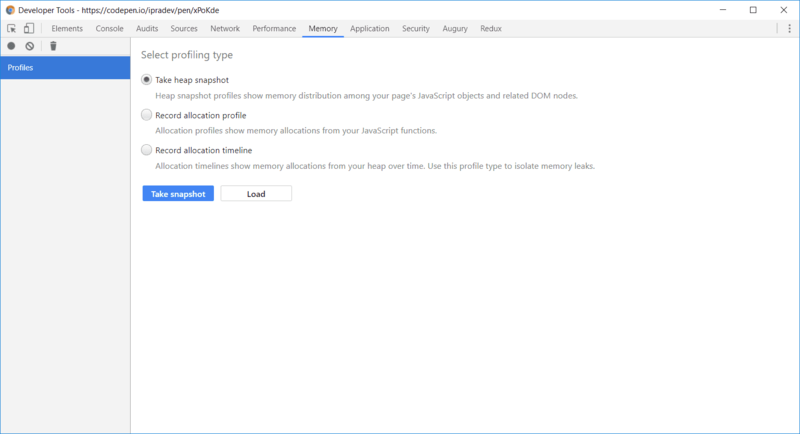 We expect that when we add a task the memory usage increases and when we remove it – the memory usage drops back to the previous level. As seen on the screenshot above the nodes and listeners progressively increase and never drop while the expected outcome is a graph similar to the JS Heap line above. Note that garbage collection is non-deterministic. In other words, it is not possible to be certain when a collection will be performed, so Chrome DevTools gives us an option to force it (step 4). Compare the two snapshots and you’ll see the second one uses more memory although we have removed all tasks. Expand the “Detached DOM tree” list and you will see there are still references to the DOM elements that were removed (marked in red). The overall memory usage is proportional to the number of tasks we have and removing tasks actually drops the memory usage.